Now I will share with you the MetroLink Icons that I usually use for my MetroFramework Modern UI projects. 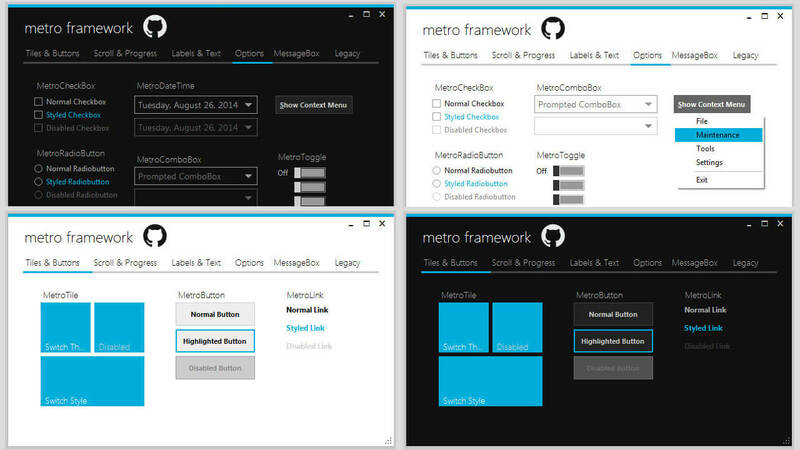 MetroLink is one the controls that is available in MetroFramework Modern UI. During the early release of the MetroFramework, MetroLink only use as a text link. Then I updated it to accept new properties and one of it is accepted two icons. One is the NoFocusImage property and the one is the Image property. The image or icon in NoFocusImage property will be displayed when the MetroLink control doesn’t have the current focus. While the icon in Image property will be shown when you hover or click the MetroLink control.